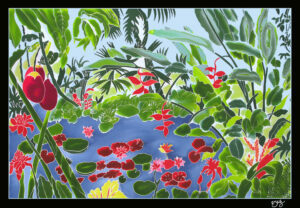 Created the first 5 different Hand painted textile designs on 100% Rayon fabric. Great for clothing as well as home accessories. Also created custom made pillows and cases. 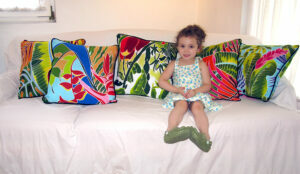 Assorted pillows covered with a zippered handpainted pillow cover, made from my fabrics. Pillows are 18″ x 18″ . Other sizes can be ordered per request.